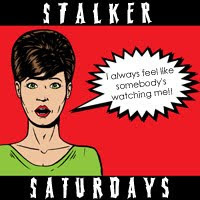 I'm being featured at Stalker Saturdays! While your there you can check out Stash Mama's Birthday Bash giveaways! Candice contacted a bunch of companies to get everything you would need for a birthday party and is now doing a bunch of giveaways for it all. Great idea!